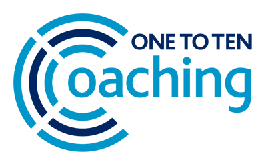 One to Ten Coaching helps clients improve business efficiency, productivity and staff motivation, whilst ensuring that they see real business results including smoother operations and increased profits. By helping sales managers build stronger connections between front-line strategies and boardroom expectations, this book will help readers ensure both organizational and individual success. Are Poor Internet Recruiting Results Draining Your Pockets? My "Power Recruiting" Methods Work! Spend time only with candidates who had the traits you were looking for. Have a system to uncover candidates all year long. Work less hard to reach and exceed your recruiting goals. Setting up your sales department using this system will help avoid the pitfalls that many companies encounter. Discover selling techniques you will love! This is a one of a kind sales training tool, designed to get excellent results in selling. DVD details Precision Sales & Management Tools for Dramatically Increasing Productivity.